Managing your accounts receivables and taxes across the different systems keeps you up at night? Still manually updating of your invoices into your accounting tool? Falling into the accounting trap for your SaaS business again and again? What if we say, we can automate your accounting? 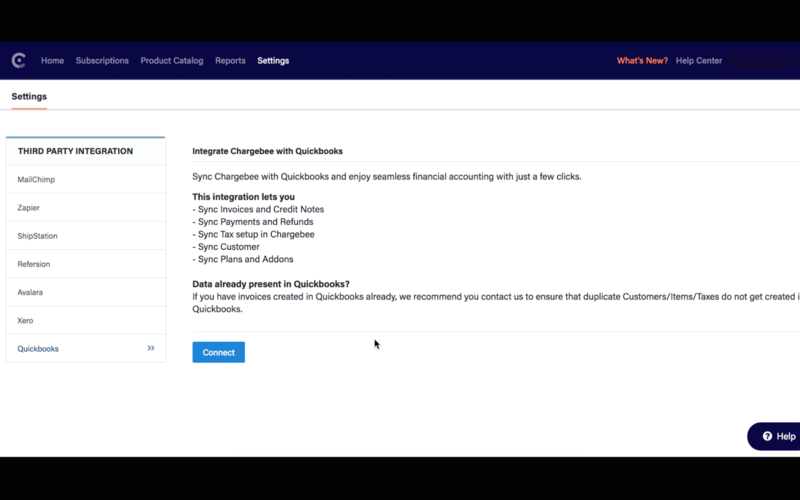 Chargebee integrates with QuickBooks Online. We understand that managing accounts for SaaS is a lot different from, say, managing accounts for a restaurant. And we understand SaaS, because we are one. The pain is real, even for us. With this 5-minutes integration, you can now easily save yourself from mundane data entry work and handle more important tasks, such as managing your account receivables and integrate your invoice data into your accounting system. QuickBooks Online is an accounting and financial software from Intuit. How many CSV and Excel files of financial info and balance sheet does it take to overwhelm you? Improve your productivity, while focussing on what matters.. Manage your cashflow through sales and purchases, handle deferred revenue with ease, issue invoices and process payments, and reconcile your bank account. The direct integration will help sync data from Chargebee to QuickBooks Online without any manual intervention. All you need is a one time setup and the integration will take care of the daily auto-sync. Everything. Invoices, Credit Notes, Payments, Refunds, Customers, Taxes, to desired ledger accounts. All your data will flow into the right chart of account you wish to sync with. This can be a single revenue account for all plans/addons or different accounts for each item. Additionally, separate chart of accounts can be configured for round off, discounts, bad debts and many more. Visit QuickBooks to learn more about setting up this integration. QuickBooks is an accounting and financial software from Intuit. Which version of QuickBooks is supported as part of the integration? I already have an account in QuickBooks, how do I connect? On what plan is the QuickBooks and Chargebee integration available? How do I test my integration works with QuickBooks without signing up for a paying account? I have already synced some invoices manually to QuickBooks. What should I do now? Some changes I made in QuickBooks are not syncing back to Chargebee - is this going to be a problem? What will be synced to QuickBooks? 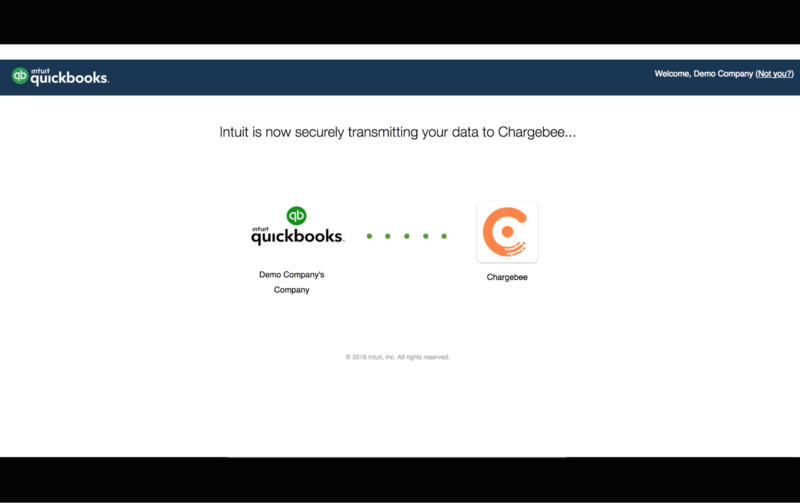 Chargebee integrates with QuickBooks Online only. Chargebee does not integrate with other editions or desktop editions of QuickBooks. You can either connect to an existing account in QuickBooks or create a new account. Chargebee will support both. The Chargebee-QuickBooks integration is available on the $299 Rise Plan and above. We recommend you use a demo company to test how QuickBooks works. 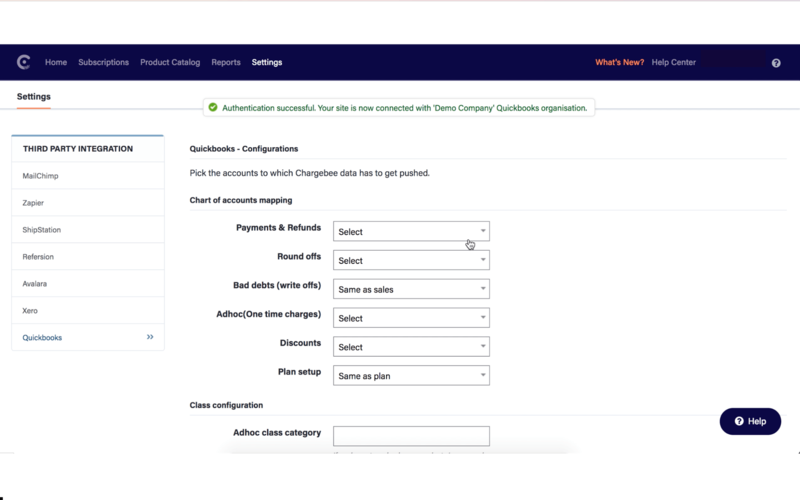 Additionally, you can create a test organisation and sync your Chargebee data and verify. If it works fine, then you can begin syncing your live data to QuickBooks. You can begin invoice sync from a specific date and invoices created from that date will only be updated to QuickBooks. Chargebee will not pull updates from QuickBooks, this is a ONE WAY SYNC from Chargebee into QuickBooks. Any updates, should be made in Chargebee and the updates will be synced to QuickBooks. Two way sync between both the systems is not supported. Invoices, Credit Notes, Payments, Refunds, Customers, Taxes accurately based on QuickBooks editions.